An American frontiersman and explorer, Daniel Boone was the greatest woodsman in United States history. He left behind many lands that he had discovered, protected, settled, and improved. He was the subject of many stories after his death that exaggerated both his accomplishments and his flaws. 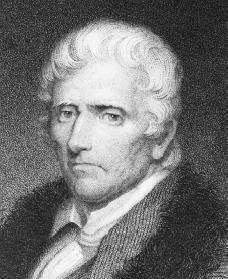 Daniel Boone was born near Reading, Pennsylvania, on November 2, 1734, the sixth of eleven children born to Squire Boone, a farmer and land speculator (a person who buys land hoping that it will increase in value and be sold for a profit), and Sarah Morgan. His formal education was limited; he was more interested in the outdoors. He and his family moved to North Carolina in 1751. After working for his father, Boone became a wagoner (a wagon driver) and a blacksmith. In 1755 Boone joined General Edward Braddock (c. 1695–1755), commander in chief of British forces in North America, as a wagoner. Boone participated in Braddock's attempt to capture Fort Duquesne (doo-KANE; now Pittsburgh, Pennsylvania) during the French and Indian War (1754–63), a war fought between the British and the French for control over land in North America. While on march he met John Finley, a hunter, whose talk of the Kentucky wilderness greatly influenced Boone's career. When Braddock's command was destroyed by a French and Indian ambush, Boone fled for his life on horseback. Boone married Rebecca Bryan on August 14, 1756, and settled down in North Carolina, believing that he had all he needed—"a good gun, a good horse, and a good wife." Finley's stories of Kentucky, though, never really left Boone's mind. Gap that soon became a highway to the frontier. As an agent for Richard Henderson (1735 –1785) and his Transylvania Company, Boone led the first group of colonists to Kentucky, reaching the site of Boonesborough in April 1775. Later that year he brought west another party, which included his family. Boone became the leader of the Kentucky settlement, as hunter, surveyor (a person who measures and plots land), and Indian fighter. When Kentucky became a county of Virginia, he was given the rank of major in the militia. Boone's misfortunes began in July 1776, when his daughter was captured by Shawnee and Cherokee tribespeople. He was able to rescue her but two years later was himself captured by the Shawnee. Though he escaped and helped defend Boonesborough against Indian raiders, while on his way east he was robbed of money other settlers had given him to buy land. He was forced to repay the angry settlers. From this time on, Boone was followed by debts and lawsuits. Boone held many government offices, including lieutenant colonel of Fayette County, legislative representative, and sheriff. In 1786 he moved to Maysville, Kentucky, and was elected to the legislature. Bad luck continued to follow him, however; he lost his land because of a mistake made in the records. In 1788 he abandoned Kentucky and moved to Point Pleasant in what is now West Virginia. He was appointed lieutenant colonel of Kanawha County in 1789 and its legislative delegate in 1791. Boone and his family later moved west to Spain's Alta Luisiana (or Upper Louisiana, now Missouri). When asked why he had left Kentucky, he answered, "Too many people! Too crowded, too crowded! I want some elbow room." What he really wanted was to settle on land that would not be taken away from him later. The Spaniards were pleased to have him as a colonist, giving him a large land grant and a position of leadership in his district. However, when the United States took over the land, Boone's claim was denied once again, although Congress restored part of it in 1814. Boone took great satisfaction from traveling back to his beloved Kentucky in about 1810 to pay off his outstanding debts, although he was left with only fifty cents. After his wife died three years later, Boone spent his remaining years in St. Charles, Missouri, at the home of his son. He died there on September 26, 1820. Boone was moderately well known from several books about his wilderness adventures when Lord Byron (1788–1824) wrote about him in the 1823 poem Don Juan. This made the explorer world famous three years after his death and led people to tell many exaggerated stories about him. Love of adventure, skill in the outdoors, and dignity in the face of misfortune made Daniel Boone a symbol of early America. which is my line of the famile. 'Ole Danny being a cousin. Did Daniel Boone have any relatives that settled in Burnsville (Yancy County), North Carolina? 1.in the Daniel Boone t.v.series there was a character named Yadkin played by Albert Salmi was this character named for the Yadkin Valley where the Boones first settled in N.C.2.what are the names of all ten of Daniel and Rebecca Boones children.3 it is known that Richard Boone and Pat Boone are his descendants are there other celebrities who are descended from him? No, it was Davy Crockett who died at the Alamo. May he rest in peace. Saw a tv show, (Daniel Boone) the other day and they identified Daniel Boone of Booneville, Owsley County, Kentucky. My question is did he live at any time in Booneville Ky ? or Owsley County KY? Just wondering seeing as my family comes from there since the 1700's. For all who think they are related, check your genealogy. You may or may not be related. You may be distant cousins or he could be your great,great, great great uncle. What I suggest is to look into your roots! We we were given information that our great-great grandmother, Susan Boone Moore, was named after Daniel Boone's sister- Susanna. We also were given the information that she was Daniel's great-niece. We cannot find any information on Susan Boone Moore other than she married Benjamin Franklin Cook. Anyone know about Susan Boone Moore? How did Daniel Boone die? I googled it and it said "Natral causes" but I'm not sure what thats supposed to mean.